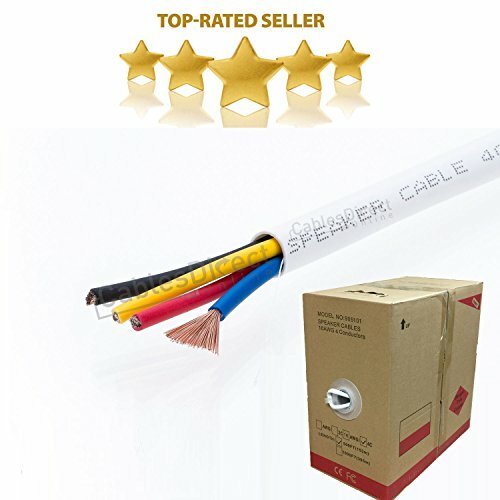 Gauge isn't the only thing to consider when you buy speaker cable. Mixing different alloys in with the copper makes it cheaper, but they can also affect how conductive the wire is. Less conductive wire means poor sound quality. Adding in different alloys can also lead to cable breaks when going around tight corners. we want you to have great sound, so our 16 gauge cable is 99.99% pure copper. Tough, yet flexible white insulated jacket is market with a stripe on one side for polarity and is marked at 2FT intervals for easy installation.